The Big Question: DC or Marvel? ...understand the enormity of the question being asked. You're being asked to evaluate these two companies in their entirety -- the good years AND the bad, the good licensed films and the disasters, the characters and properties you cherish most and the ones you cannot stand. Every editor, every company policy and marketing decision, every innovation and stagnant retread -- the brilliant and the absurd. And we're not necessarily just talking superhero titles either. (and not necessarily your favorite!). I can't choose as I have drifted in my preferences over the years. DC have offered more variety of styles over the years which I have enjoyed eg War, Western and Horror to a higher and more consistent standard than Marvel. However, Marvel's Silver Age is probably the greatest sustained creative period of any company and stands the test of time. Weisinger's Superman era is close to my heart so I can't dismiss Silver Age DC either especially as I love GL, Flash, JLA, Hawkman and the Atom. Marvel takes the Bronze Age for me with the wild imagination of Gerber, Englehart, Starlin et al and the monumental achievements of Wolfman and Colan's Tomb of Dracula, McGregor and Russell's Killraven and Moench's Shang-Chi. I can't relegate DC to second spot because they have Batman and apart from the many classic stories from all eras there is the extraordinary Brave and Bold run by Haney and Aparo, as long as you aren't a continuity freak these tales are great fun. I could go on but I'd get more confused, the final analysis indicates a tie. For most of my life - I had been a faithful die-hard DC Comics reader from 1964 to 1985 and having said that - I was buying DC Comics about 70% of the time and Marvel Comics about 30% of the time. I enjoyed Action Comics, The New Teen Titans, Justice Society of America, Justice League of the America, All-Star Squadron, Aquaman, both Flash Comics, and Wonder Woman too. For Marvel Comics, I enjoyed the Fantastic Four, The Avengers, Alpha Flight, X-Men (the Originals), Spider-Man, Inhumans, and several other titles such as Captain Mar-Vell, Black Widow, and Tales of Suspense too. And, an inkling of Iron Man and Iron Fist and Power Man too. For the most (Comics Books) of it - DC Comics Rules. For the movies - It's all Marvel Comics and I enjoyed pretty every Movie that came out and there is not one of them that I really loved with some exceptional films like Spider-Man (Tobey), Iron Man, X-Men, and others including Captain America, Thor, and the Avengers. I was surprised how well they made Ant-Man and Civil War too. Because one group did better than the other - I'm disappointed in DC Comics not even go outside of Batman and Superman and that's been a sore spot for all the years that they been making Movies. So, having said that I'm extremely disappointed in that and I hope the future would be better. In the Movie Department - Marvel Rules. Marvel. Though there should really be another option: "neither". I don't think "wimping" has an 'h' in it, BTW. DC wins Golden Age for creating superheroes and just from sheer volume. But Marvel wins Silver and Bronze Ages easily with their superior characterization and story lines. Making their heroes real people with real issues while still keeping them heroic raised things to a new level. Post Bronze Age I feel that neither company really stands out - both have similar quality, some good stuff and some bad, and too many events and reboots. In movies I'd put their earlier stuff about even, a mixed bag for both. But the recent Marvel Studios movies stand out, virtually all being both good and fun. Plus they created the shared movie universe, which was a great idea and beautifully implemented. DC's recent output has been weak in comparison. I'm abstaining because I'm not qualified to give an opinion on their comics after 1993 or so. Wait, you're including the films as part of the criteria? Is that really a fair comparison? Publishing and film division are technically separate companies on both sides. And complicating things is how Marvel films have been licensed out to studios that are completely outside of their control, whereas DC films have largely been put out by WB. Hmmmm...Marvel always was billed as the real world with super heroes. However comics are inherently unrealistic. I prefer DC's fictional cities over Marvel's NYC location. Marvel rarely used sidekicks as they are totally unbelievable. But I like the concept of teen sidekicks with adult mentors. I really am not a fan of realism in my comics. I prefer DC's approach. However I do like Marvel's approach to making their heroes more "human". DC wins as far the variety of their output with different genres. DC also wins with their TV shows & cartoons. Marvel definitely wins with their movies. DC also has a slight advantage with using characters acquired from other companies (Fawcett, Quality, Charlton, Wildstorm). Again I say slight mainly because Marvel has totally wasted any character that they acquired (Malibu, Cross Gen). As far as comic sales it is a tie. DC led for 40 years (1935-1975) Marvel for 40 (1976-2016). As far as event driven comics Marvel leads slightly only because DC has had fewer company wide events in the last several years. Both are guilty of reboots/renumbering but Marvel is much worse in the renumbering dept. I think in the public eye DC leads but only slightly. In addition to comics they had comic strips, radio shows, movie serials, TV shows & cartoons over the last 70 years. Marvel has made up a lot of ground with their movies but most of their success has been in the last 15 years. 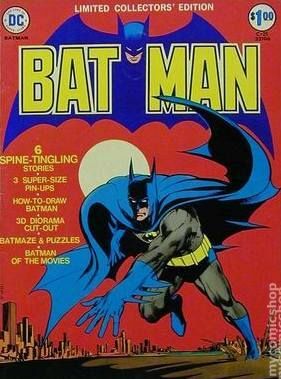 And despite the success of Iron Man in the movies Batman still is the more interesting character in comics, movies & TV. Both are guilty of copying each other's successes. My analysis: DC wins at this point in time. My guess is Marvel will pass them in several years as they dominate in comics sales & movies. However DC still has the better TV shows & has characters that have survived & thrived for 75 years. I can't be objective about it. While I have enjoyed a lot of Marvel "products", I feel DC. There's just something that stirs inside when I see Superman fly. Marvel for the win. Their characters spoke to me as a teen in ways DC never did or even attempt to try. Outside of peripheral B characters the only 3 DC comics i collected regularly was Batman, Flash and Justice League of America (satellite era rules) with occasional odd forays into their other mainstream hero's when covers or a peek inside interested me. Over time through JLA i grew to adore the JSA. But Marvel had caught me hook, line and sinker from my 1st Marvel comic Thor. From there it was Avengers, Fantastic Four, Iron Man, the occasional Captain America, Defenders, X-Men and all the quickly arriving 70's B-List from Deathlok through all the horror comics and Conan into Star Wars. My closet was filling fast as a teen with Marvel goodness. I prefer Marvel but went for DC. Yes, my favourite superheroes are at Marvel. Yes, I care far more for the Marvel characters that for the DC ones, and that's even without taking the several reboots into account. But overall, DC has been more diverse that Marvel. Its superhero books were almost unreadable for a long time, but when it did them well it did them well. It also had a more diverse output, what with the mystery titles, the Jack Kirby titles, the Tarzan family, the S&S mags. Perhaps quality wasn't as consistent than at Marvel, but the variety was always there. More importantly, DC seemed more ready to try new things during its whole history. It gave us Vertigo. It gave us Paradox press. It gave us the short-lived Helix. It gave us books like the Shadow, like the Dark Knight returns, like Watchmen. It gave us Alan Moore's Swamp Thing. It got its hands on America's Best Comics. Marvel tried to be a little more diverse with things like Epic and with a few truly innovative (and even genre-defining) runs, but these strike me as the anomalies rather than the norm. DC is also the home of the true American comic-book icons. Spider-Man is well known, but even he can't hold a candle to Superman and Batman. (I don't care about those two characters, but they are up there with the best known fictional characters). Neither. Or both. There was never a time I bought both. Though there were times I bought far more of one then another. If I were 10-15 years older maybe it would be a bit different. But I started buying my own comics in 1975, by which point the creators were shuffling back and forth between the two companies pretty regularly. If I were to include Vertigo books it would be DC by a country mile, but I don't think that's what is meant. My normal answer is to flippantly say that I don't read books by Random House to the exclusion of those by Simon & Schuster. I recognize that that's not entirely apposite in the shared-universe context, I could really care less who is publishing a funny book. Just that it's a good story. It helps is you read the criteria. Much as I love the current Marvel movies and recognize what happened in the Silver Age with the MU, if you look at the thing over the last 80 years with all criteria DC wins by leaps and bounds. It's not even close. Marvel has never officially rebooted but their current writers rarely acknowledge stories prior to the latest event so IMO they sort of do a reboot by ignoring past stories every few years. And renumbering IMO is a crappy marketing method to boost sales short term. I'm old school. I like series with big #'s & a sense of longevity. If they want to do this then at least do it annually & put volume #'s in the books. I'll give it some more thought before voting but it would be hard to convince me that Marvel's fairly poor showing during the Golden Age doesn't effectively cripple them in a poll such as this. Captain America, The Sub Mariner, and The Human Torch don't really stand up to Superman, Batman, Wonder Woman, nor does The Whizzer, Miss America, and Marvel Boy hold much of a candle to Green Arrow, The Flash, and The Spectre. Something to consider though - does DC get credit for characters they own retroactively? Sure they've owned Captain Marvel since the 1960's but that's only because they pressured Fawcett into leaving the business in the 1950's. Does DC get retroactive credit for all the great stuff Fawcett did as their 'History of DC' books would like us to believe or do they lose points for their role in depriving us of great Marvel Family stories after 1951? What about Plastic Man? MAD? That MAD parody of Plastic Man?